Santa Clara University Leavey School of Business appeals to bright, ambitious individuals who want their education to have direct application to their careers as well as prepare them for future achievement. Reflecting the immediacy, influence, and practicality of our Silicon Valley home, students learn to combine theory with practice, and build prosperity with principles. Shaped by our excellent academic environment, our emphasis on collaborative practice, and our exploration of business ethics, Leavey School alumni approach challenges with ingenuity and discipline, ready to take on any opportunity that arises. Applicants to Leavey MBA programs at SCU must provide the Admissions Office with all of the following: Official transcripts for all postsecondary academic work; official GMAT score reports reflecting scores no more than five years old; a completed application and a copy of the same; two letters of recommendation from individuals "who can speak dire...Applicants to Leavey MBA programs at SCU must provide the Admissions Office with all of the following: Official transcripts for all postsecondary academic work; official GMAT score reports reflecting scores no more than five years old; a completed application and a copy of the same; two letters of recommendation from individuals "who can speak directly to your professional strengths and areas of growth;" and personal essays. A third essay is optional, and candidates will be contacted for interviews once all application materials are submitted. Candidates whose first language is not English must also submit official score reports for the TOEFL (minimum required score: 600 paper-based test, 100 on the new IBT test). Work experience is not a prerequisite to admission, although a minimum of two years of experience is recommended; on average, admitted students have between five and seven years of post-undergraduate professional experience. MBAs report that SCU “provides a safe, clean study environment coupled with a very caring and personal staff. The school really treats students as ‘customers’ and caters to their needs, offering extended library hours during exams. The staff wants the students to succeed.” Part-time students appreciate that “the schedule is really terrific and works for working folks as well as commuters.” In addition, the school opened a new facility in 2008. SCU’s “gorgeous and safe campus” offers a number of top amenities, including “a state-of­the-art gym and pool, great recreation areas, and a late-night venue called The Bronco with a pool table, a large television, and several couches.” Also available are campus-wide wire­less access, breakout rooms for private meetings/study, and case-style and collaborative classrooms. Although most students are part-time with numerous other commitments out­side school, MBAs here do occasionally socialize. “It’s easy to spot people you know every­where; unfamiliar faces never stay that way.” Another student points out that “life at school can be great for those who do the work to get involved. It can be a commuter school if that is all a student wants to get out of it. But there is always something social to do on the weekends, either sponsored by the school or just going out with other MBA students.” “Many students here have jobs,” which “provides the best opportunity for networking and recruiting after graduation, as you have gained so many resources at numerous organizations,” students tell us. MBAs range from the mid 20s to the mid 40s. Their “back­grounds are extremely diverse; they come from such areas as financial services, banking, semiconductors, software, technology management, finance, and human resources, to name a few.” Engineers from the Silicon Valley are the single most visible contingent. Students appreciate the “great Bay-Area network” connected to SCU. MBAs benefit from “a terrific level of interaction with leaders and innovators in Silicon Valley.” The Graduate Business Career Management Office capitalizes on these connections to help students procure internships. “The quarter system allows for some interesting internship opportunities in the area because local employers know some students can be available part-time or full-time for a quarter or two,” explains one student. Though the Office does offer recruitment events, individual consulting services, and workshops exploring top­ics—such as personal branding and business etiquette—students feel the service isn’t all it could be. As one observes, “Since most students are working, there are limited resources devoted to the internship/career placement program. Also, SCU does not do enough promotion of the program out in the business community. Its reputation is only good regionally, despite its high ranking as a part-time business program.” However, many changes have been implemented in career management in the past few years. Employers of graduates are Cisco, Deloitte & Touche, Wells Fargo, Lockheed Martin, Johnson & Johnson, Hewlett-Packard, VMWare, and Intel. 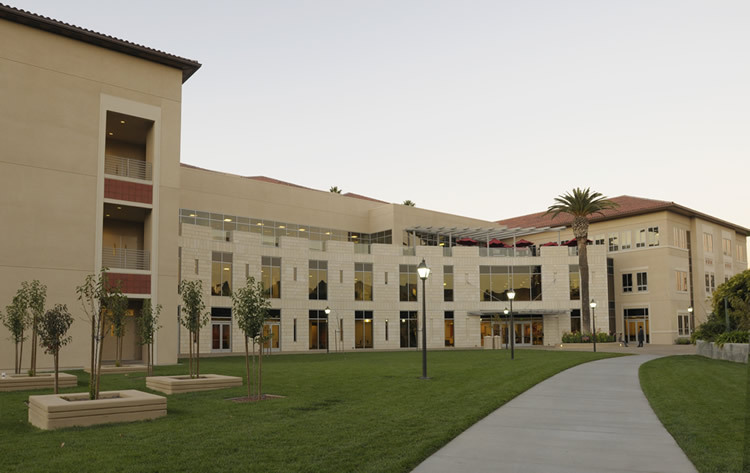 Want more info about Santa Clara University, Leavey School of Business Part Time MBA? Get free advice from education experts and Noodle community members.